Coyoty drinks a fresh vanilla milkshake. 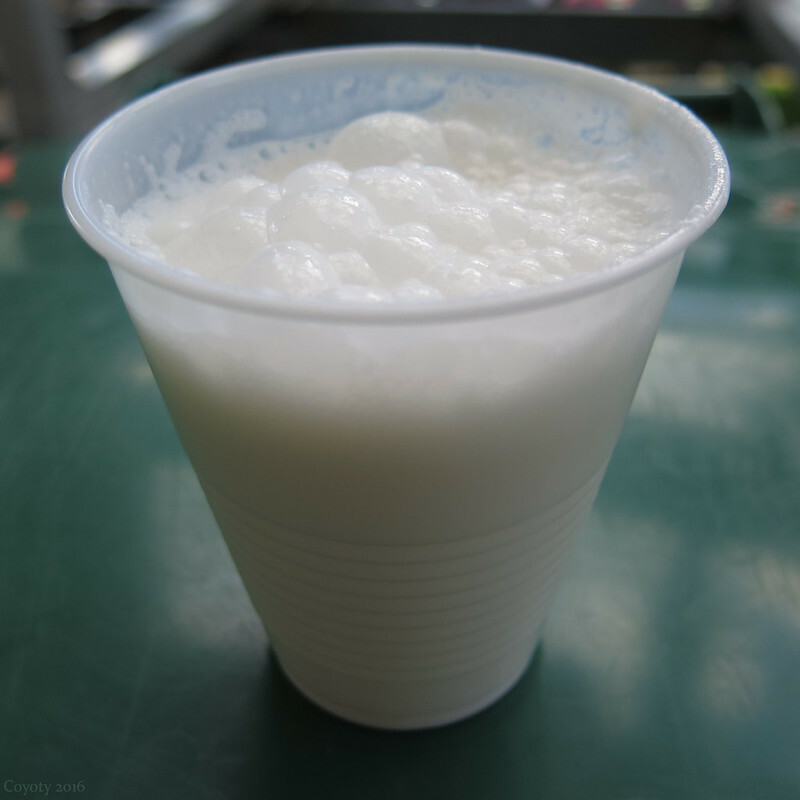 Very fresh vanilla milkshake, from milk squeezed from the cow that day. From the 4-H dairy bar at the Eastern States Exposition (The Big E) in Agawam, Mass.